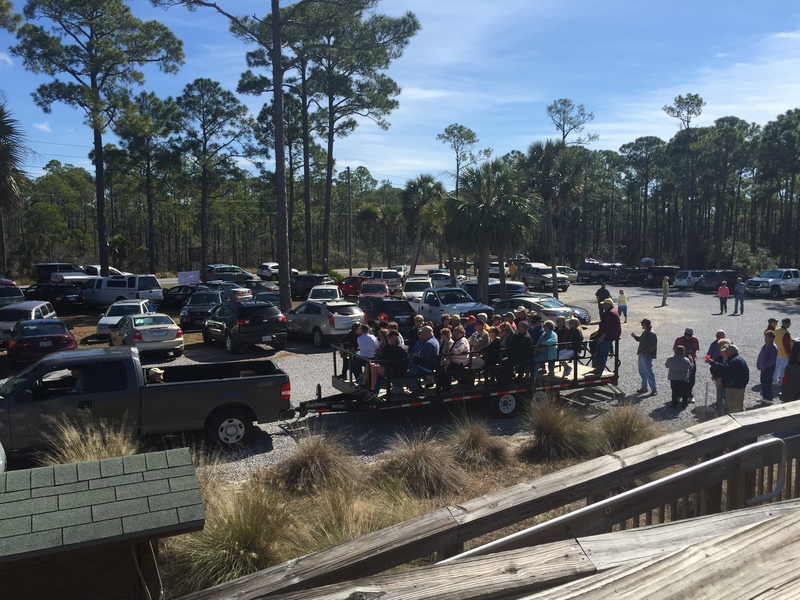 It was another successful Winter Bay Day at the St. Joseph Bay Preserve Center, and one of the biggest crowds I’ve ever seen since I’ve been attending this event for the past 3 years. There is just something magical about attending Bay Day, and I recommend all our Winter Guests to attend. So why all the hype about Bay Day? 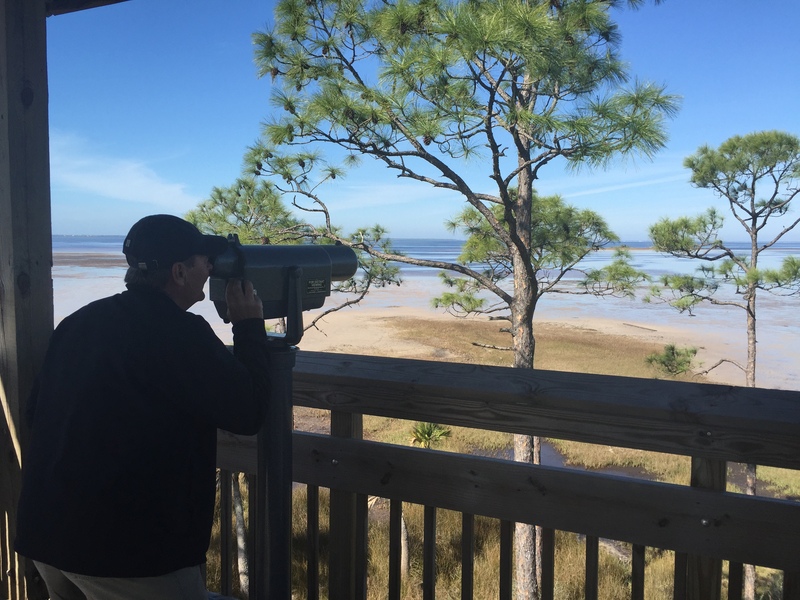 Why is it a “must do” on your list of visiting Cape San Blas? I’m going to give you 9 reason why you need to mark your calendar for the next Bay Day. If hiking, bird watching, or just enjoying being around nature makes your heart beat, then going on a guided nature tour is just what the doctor ordered. These “Nature Walk & Talk” tours offer excellent information about our local wildlife. A camera is a must bring on these tours. Similar to the Nature Trails, the Tour of The Bay offers short walks but mostly it’s a riding trip. You’ll enjoy seeing areas of the Buffer Preserve the ordinary visitor misses out on. Your trip Leader will talk about the history of the land; point out how controlled burn is beneficial to the Preserve. They know about the resident plants and the animals that call the Preserve home and will show how controlled burn helps them. 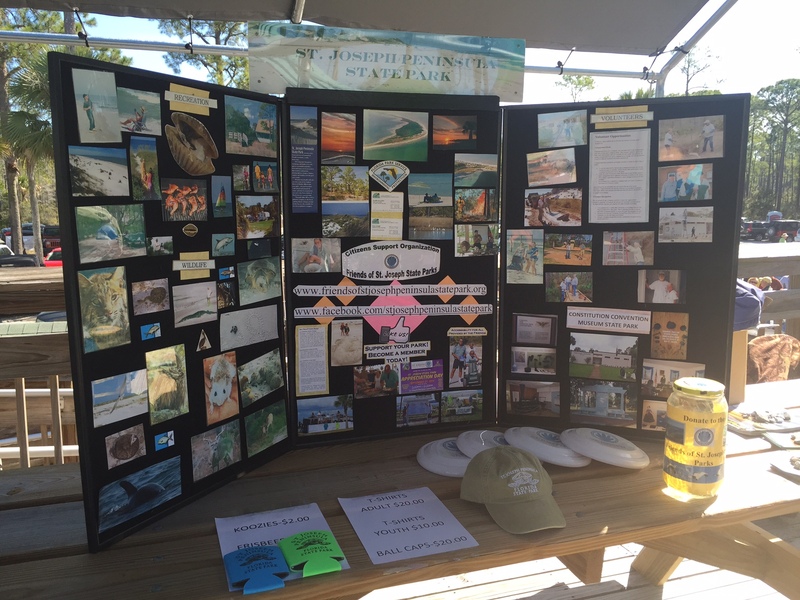 While attending Bay Day, check out all the information displayed about sea turtles, St. Joseph State Park, and other local wildlife and flora. Each display not only educates, but also informs how you can help support and protect St. Joseph Bay and its surrounding habitat. Interested in seeing a bird’s eye view of St. Joseph Bay? 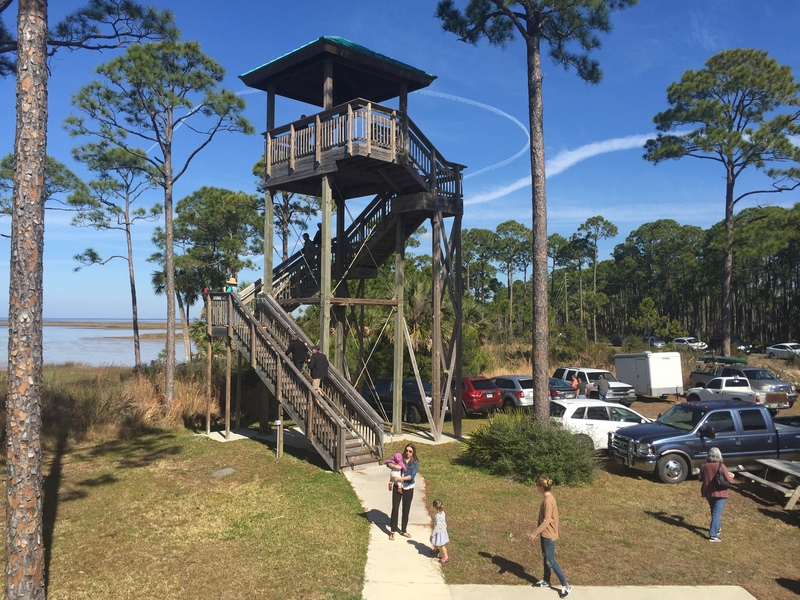 The Observation Tour offers a spectacular view of the Bay and other wildlife for easy observation from the tower. While on the tower, you will be reminded of why the Friends of the Preserves strive to protect this jewel for future generations. 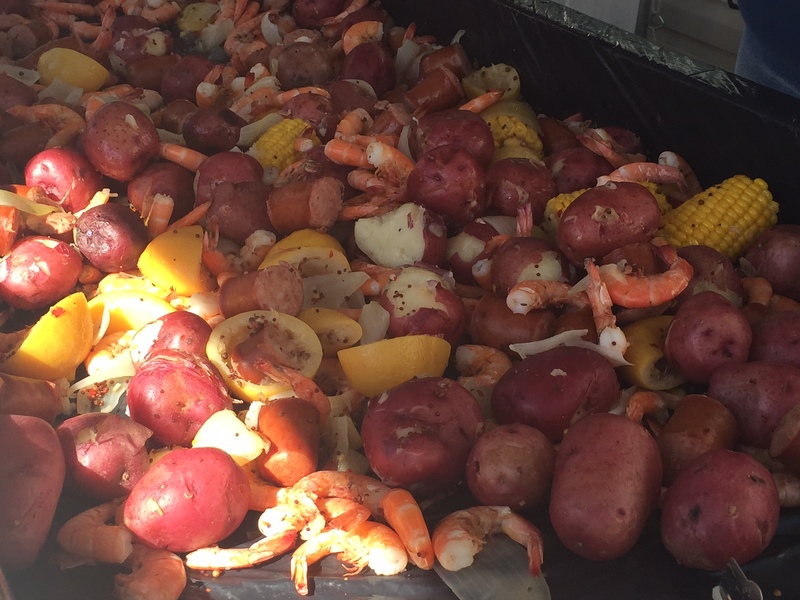 With a simple donation of $10.00, you get to experience a delicious low country boil provided by the Friends of St. Joseph Bay Preserve. You get a generous portion of fresh steamed shrimp, sausage, potatoes, and corn…large lines form to taste this delicacy, so come early. 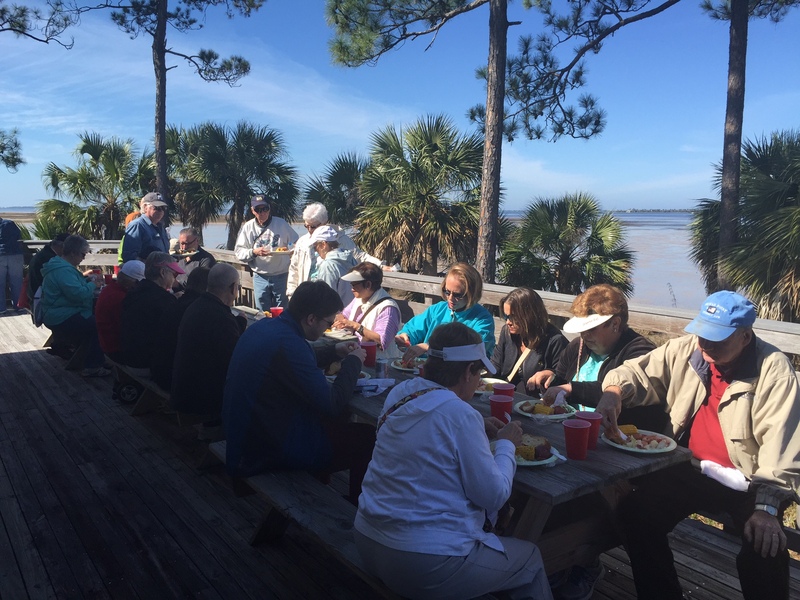 While eating your low country boil, sit at any of the picnic tables situated along the bay front deck of the Preserve for a front row seat of St Joseph Bay. It’s beautiful and peaceful…especially while enjoying your low country boil. You will be pleasantly surprised who you will see at Bay Day. 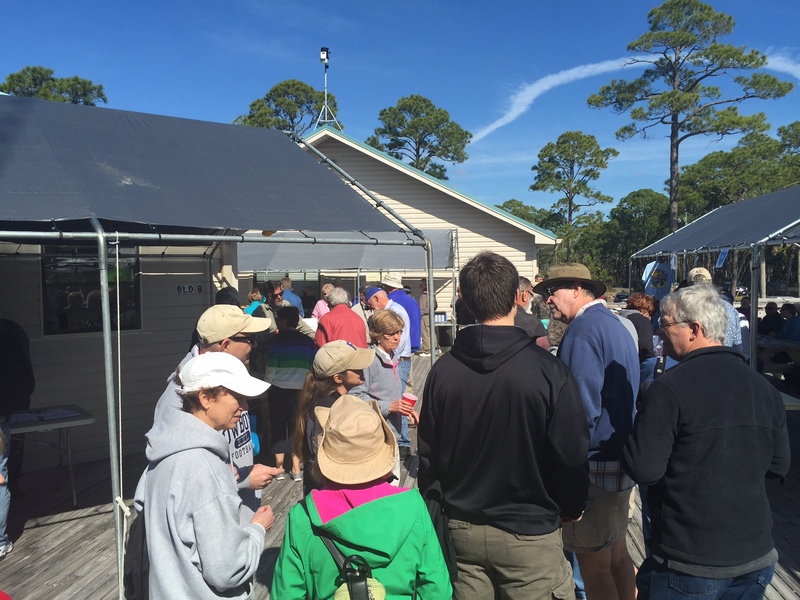 Locals and visitors converge to the Preserve to experience Bay Day each year. It’s a great time to reacquaint with old friends or kindle a new friendships. Listen to some great local bands playing during this event. People can sing along, dance, or just listen while they enjoy their visit…this year they had a karaoke machine…so not to embarrass anyone, no pictures were taken during karaoke. 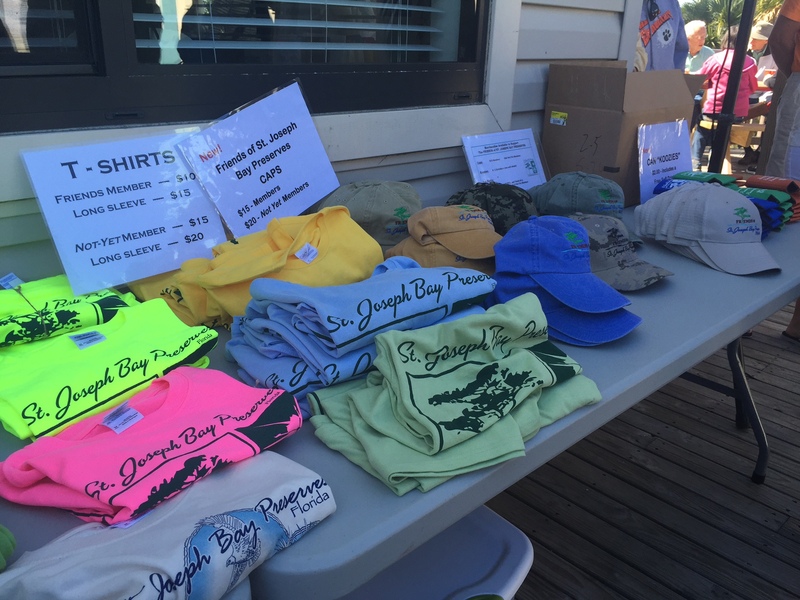 The main reason for having Bay Day is to celebrate having such a wonderful place to experience Bay life, and to allow future generations the opportunity to experience coming to St Joseph Bay. The Friends of the St Joseph Bay’s purpose is to advocate for the restoration of the uplands and aquatic preserves by informing the public of the importance of protecting the bay and uplands, link up all interested parties in order to explore all possibilities to safeguard the bay, and take action to prevent destruction of any upland in order to prevent detrimental effects to water quality. In my opinion, Bay Day is an event that encompasses all of that, with the added bonus of having fun and seeing a world that most people usually do not get to experience.